Hello everyone, sorry it’s been a long time since the last post, it has been a rather frantic year with the day job. The day job involves spending hours upon hours in front of a computer writing legal texts and research projects either from the office at work or the office at home. The problem I have with the day job’s home office is temperature control. In the summer the office is cold and in the winter it is bitter. As we all know heating costs are rising year after year and I resent putting the heating on for me, the dog and the three cats so the general rule of thumb is, if you are cold put another layer on. This is fine until you get to the point where you cannot move your arms enough to type the above-mentioned legal texts. However I have found a solution. This solution is rather fancy, on trend and above everything else keeps me warm and mobile. The solution I hear you ask??? 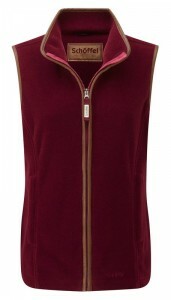 It is the latest Schoffel Lyndon Gilet in Ruby Red (comes in other colours) but the bright red of mine just brightens my working day. 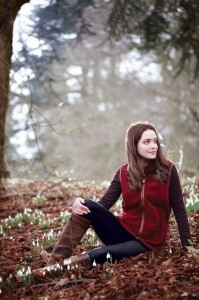 The Ladies Lyndon Fleece Gilet is lightweight without losing any of the benefits of the warmth of the fleece. It fits perfectly with a longer back so that when I am sitting or standing the lower part of my back, which often hurts after hours at the computer, is warm and snug. It fits like a glove and really doesn’t feel like you are wearing anything over t-shirts or jumpers. So far the heating has not been on and I am able to move my arms allowing me to meet a few deadlines (despite the distractions of new chickens in the coop). It is a win-win situation, style and warmth in one lovely Schoffel gilet; a great essential to anyone who feels the cold. clothing, country clothes, Country Clothing, fleece, fleece gilet, Ladies gilet, Sch?ffel, Sch?ffel countrywear, Schoffel clothing, Schoffel fleece, schoffel gilet, Schoffel Ladies Lyndon Gilet, Schoffel Lyndon. Bookmark.